Air pollution is now considered the world’s largest environmental health risk. The World Health Organization (WHO) attributes 3.2 million deaths to air pollution in 2012. People living in Asia are considered most at risk of ambient air pollution, with more than 2.6 million deaths caused by it. Rapid urbanization and industrialization in Asia have generated increasing air pollution. 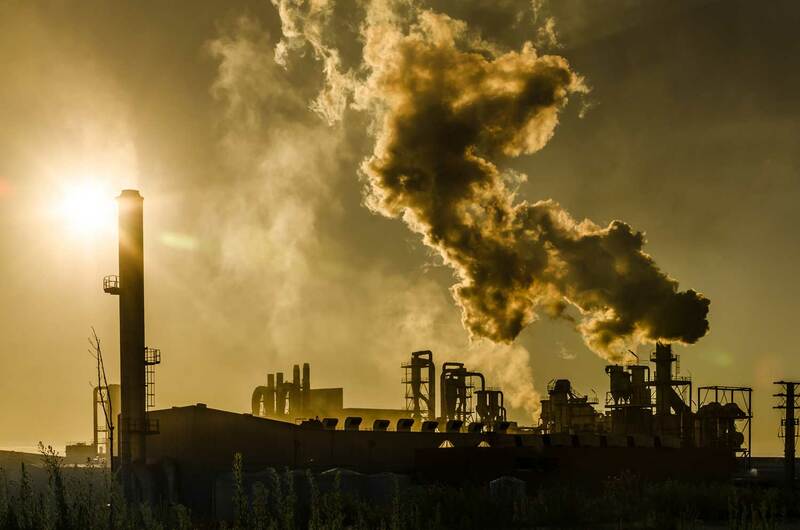 The particulates PM2.5 and PM10 (tiny particles in the air that reduce visibility and cause the air to appear hazy when levels are elevated) are produced from a wide range of industrial processes through bulk material handling, combustion and minerals processing. PM2.5 particles are so small – 30 times smaller than the width of a human hair – that they can easily infiltrate human respiratory and circulatory systems, contributing to health problems such as asthma, pulmonary vascular disease, and heart attacks. Besides industrial causes, climate change also results in more frequent drought episodes in the region, increasing the risk of forest fire, smoke haze and land degradation. All of these matters and industrial air pollution are transboundary environmental issues, and can be monitored using Earth observations. Considering these issues, many countries realize that there is an urgent need to take drastic measures in order to reduce air pollution and improve health – especially in urban areas. Following severe land forest fires in 1997-1998, ASEAN (Association of Southeast Asian Nations) Member States signed the ASEAN Agreement on Transboundary Haze Pollution in June 2002 to prevent, monitor, and mitigate land and forest fires to control transboundary haze pollution through concerted national efforts, regional and international cooperation. The Japan-China-Korea Tripartite Environment Ministers Meeting (TEMM) in 2016 agreed on reinforcement of regional cooperation for improving the regional atmospheric air quality. The Asia-Pacific Regional Space Agency Forum (APRSAF) 2016 discussed regional cooperation for monitoring and predicting air pollution in the region, as satellite data can complement in-situ observations by filling gaps in areas where data is low or non-existent. With improved modeling that integrates geostationary and low Earth orbit satellite data, together with field data, fine particulate matters (e.g., PM2.5 and PM10) will be estimated for major cities in the Asia-Pacific region. Satellite data: Himawari, GOSAT/GOSAT-2, GCOM-C, Sentinels, others. In-situ data: MOE/AEROS, US Air Now, JMA yellow sands estimation map, etc. Numerical model data: University of Tokyo/JAMSTEC/NIES/Kyushu Univ. MICRO-SPRINTARS, University of Tokyo/RIKEN/NIES/Kyushu Univ. NICAM-Chem, MRI MASINGAR. TANSO-FTS has been targeting Addis Ababa and Accra since February 2016 in response to a WHO request. Fine particulate matter concentrations over cities are estimated by numerical modelling, integrating satellite data and in-situ data. Aerosol data from the geostationary satellite Himawari-8 are available every 10 min with 5 km ground resolution. Hot spot detection and forest fire/smoke haze monitoring are conducted using other geostationary and low Earth orbiting satellites. Satellite-based estimates of PM2.5 rely on this data. This data will contribute to SDG 11 by providing annual mean of PM2.5 and PM10 concentrations and SDG 3 (Health) by assessing a causal link between air pollution and mortality. These data are critical for policy decision making on air quality management in urban areas, as well as for estimating population-weighted exposures and health outcomes. Fosters cooperation in monitoring of haze caused by forest fires, yellow sands and air pollution. With the launch of new Japanese satellites (Himawari-8 and -9), greater satellite coverage and corresponding aerosol observations will allow better estimations of surface aerosol concentration, providing more information for civil authorities and modeling systems. JAXA began distributing Himawari-8 aerosol data in September 2015. (https://www.eorc.jaxa.jp/ptree/index.html). Himawari-8 Product: Aerosol JAXA EORC applied the aerosol algorithm developed for JAXA LEO missions (GCOM-C, EarthCARE, GOSAT-2) to Himawari-8.